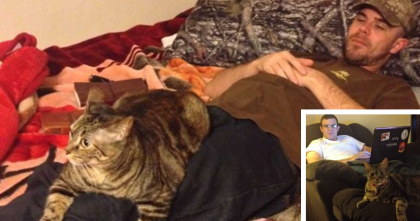 They took this kitten for a ride, but when she noticed the birds, you’ve just gotta see what happens because it’s adorable! 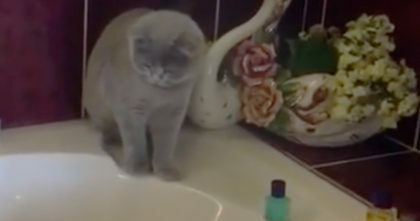 This kitten loves sitting in the front window and you’re about to see the reason why! 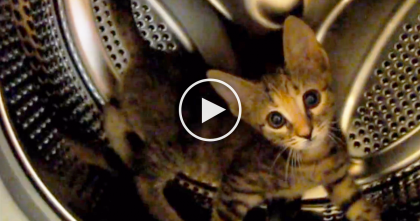 Kitty Discovers Washing Machine, But Watch What He Does Next… It’s Just Hilarious! 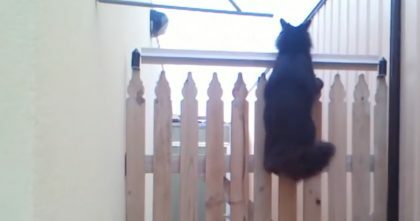 Cats Kept Jumping Over The Fence, So They Came Up With The Smartest Idea Ever… This Is GENIUS.